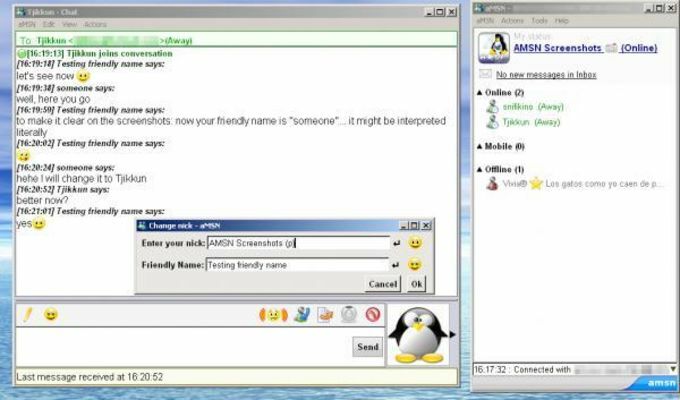 aMSN is an alternative to the classic MSN Messenger, with more features yet a much weaker interface. 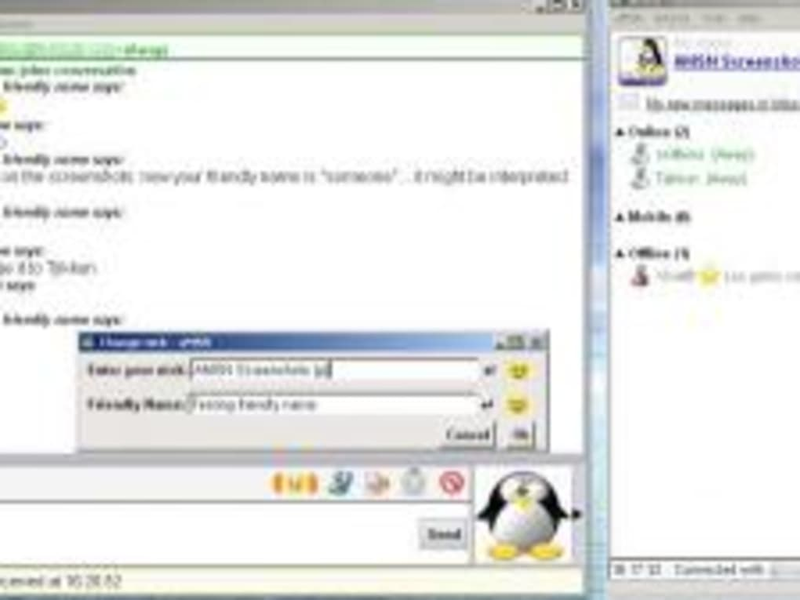 The chat client looks very similar to Microsoft's product yet differs on a number of points. aMSN developers have delved into the preferences menu, adding extra little features like event alerts and sounds, conferencing support or autoaway messages. Like with MSN Messenger you'll be able to transfer files and organize all your contacts into groups. Audio/Video support is the number one function that users look for in IM clients nowadays, yet an area which aMSN doesn't particularly focus on. Webcam support is fairly weak and unstable on aMSN, and instead of integrating into your chat window will open up in a new Quicktime window. One of the biggest pet peeves of users with aMSN is the interface. It simply doesn't compare with more sleeker, more recent IM clients. To the developer's defense though you can download all sorts of skins from the program's website. Similarly it offers up a range of plugins, to customize your client to your liking. Chat addicts will also appreciate the animated emoticons on hand. In terms of performance, you have to keep in mind that aMSN is still a Beta product, so still liable to some crashes and bugs. We did have some trouble when opening up new chat window and noticed that the client tended to use a lot of CPU. In a few words, aMSN is a good alternative to MSN for users looking to add more plugins, skins and delve into the preferences menu. aMSN Messenger. I always use windows live messenger but I dont know how I installed amsn messenger. Then i try amsn and its wonderfull!!! Not only is like live messenger but have more utility functions.